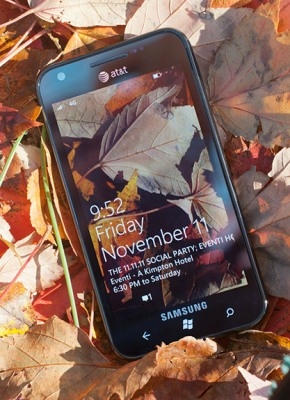 "Last year the AT&T Samsung Focus ended up being the best new Windows Phone around as it shot to the top of the charts in satisfaction surveys. This year, Samsung has released two Focus successors and the Focus S is meant to be the high-end model...what's changed in this new flagship Windows Phone from Samsung? Read on to find out." If you're curious about the latest edition to Samsung (and AT&T's) stable of Windows Phones, check out Pocketnow's review. It's mainly complimentary, with some minor niggles like how the back cover fits on, but apart from that the Focus S appears to be a worthy and hopefully less problematical successor to the Focus. Just about every hardware component has been upgraded, from the larger screen to the 8MP camera, and it comes with Mango out of the box.